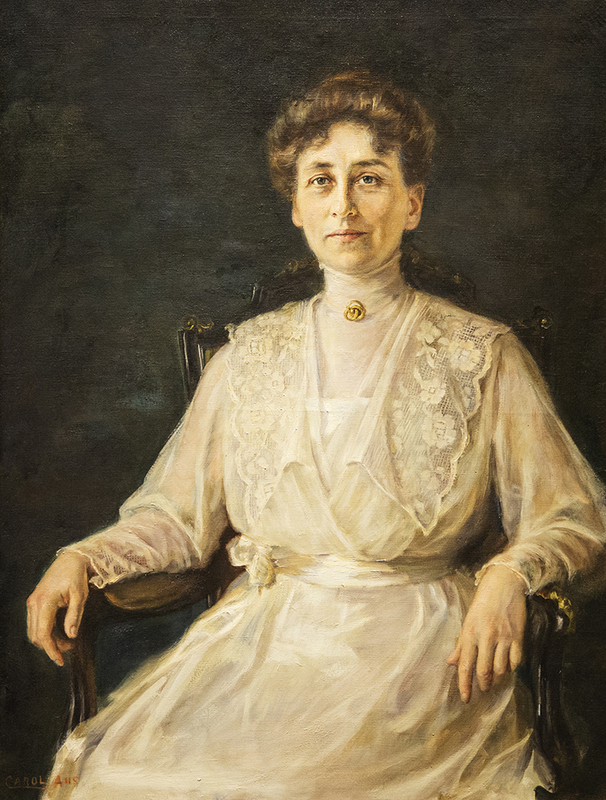 Learn / Pioneers Gallery / Sargent, Laura E.
Portrait by Carol Aus. Original Longyear Collection. LAURA ELLEN SARGENT, from Oconto, Wisconsin, was healed in 1883 of semi-invalidism when she traveled to Milwaukee for Christian Science treatment. While there, she purchased Science and Health and brought back the very first copy to reach Oconto. Six months later, Laura attended Mrs. Eddy’s only class taught in Chicago, and in December she was in Mrs. Eddy’s Primary class in Boston at the Massachusetts Metaphysical College. 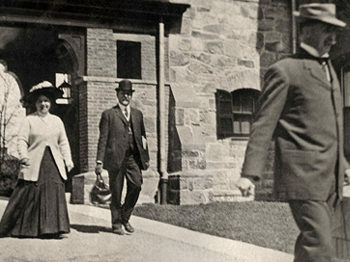 In 1886, she attended Normal class with Mrs. Eddy and a year later taught her first class in Marinette, Wisconsin. 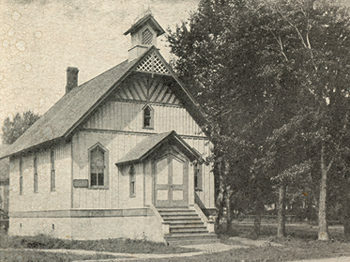 Laura and her sister, Victoria, actively supported the building of the Oconto church, which was dedicated in February 1887 and was the first edifice in the world built for Christian Science services. 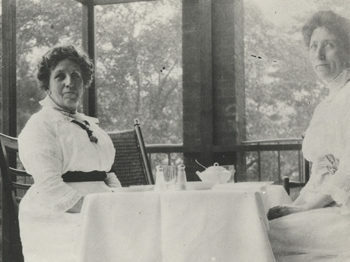 Mrs. Sargent was a key figure in the management of Mrs. Eddy’s household for much of the time at 62 North State Street, and throughout the Pleasant View and Chestnut Hill years. 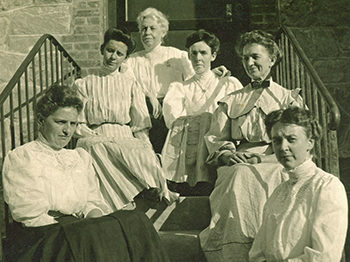 After Mrs. Eddy’s passing, Laura Sargent stayed on as custodian of the Chestnut Hill home, and in 1913 she taught the Normal class under the Christian Science Board of Education.